“A-Fib tends to be a progressive disease, so taking an aggressive approach to treatment early on may be your best option. “A-Fib hardly ever gets better. Be aggressive. Anger and determination led me to researching options. Find the solution that fits you best. Every case is different. Other A-Fib patients have been where you are right now. Dozens have shared their personal experience with our readers (starting with Steve Ryan’s story in 1998). Told in the first-person, many stories span years, even decades. Symptoms will vary, and treatments choices run the full gamut. Each author tells their story to offer you hope, to encourage you, and to bolster your determination to seek a life free of A-Fib. You can browse the many stories organized by categories such as age group, symptoms or treatment choice. Start at Personal A-Fib Stories by Subject Category. Read how others learned to seek their A-Fib cure. From The Top 10 List of A-Fib Patients’ Best Advice’ , a consensus of valuable advice from fellow Atrial Fibrillation patients; Chapter 12, Beat Your A-Fib: The Essential Guide to Finding Your Cure by Steve S. Ryan, PhD. Anxiety, fear, worry, confusion, frustration and depression, and at times, anger. Most A-Fib patients deal with one or more of these feelings. Beware: research indicates that “psychological distress” worsens the severity of A-Fib symptoms. “Of the entire experience, anxiety has been the greatest challenge. Don’t beat yourself up if you deal with this. Be honest with the doctors about it and get help. “I have never been mentally so incapable…even the simplest work-related problems seemed impossible for me to handle, let alone solve. “Like everyone has said in their A-Fib stories, A-Fib does such a job on your head. Every time you feel something, it scares you like you’re going back into A-Fib. That’s been a mental battle. Don’t be ashamed to admit how A-Fib makes you feel (especially if you’re a guy). Your psyche is just as important as your physical heart. Just acknowledging you have some or all of these symptoms is a step in the right direction. Acknowledge the Stress and Anxiety. Don’t Delay. Get Your A-Fib Taken Care of. It Won’t Go Away. Every instance of A-Fib changed my heart, remodeled the substrate, and made it more likely to happen again. Get your A-Fib taken care of. It won’t go away. It may seem to get better, but it will return. “I can now say, first hand, that there ARE bad effects from A-Fib and especially from A-Fib that is not treated early. I now wish I had had some of the today’s more aggressive A-Fib treatment options which weren’t available to me in my younger years. Controlling symptoms with drugs, but leaving patients in A-Fib, overworks the heart, leads to fibrosis and increases the risk of stroke. Drug therapies are never curative. Don’t just manage your A-Fib with medication. See Editorial: Leaving the Patient in A-Fib—No! No! No! Over time, these patients chose more than one type of treatment to become free from the burden of Atrial Fibrillation. “At first I was able to control the a-fibs by increasing my magnesium and potassium intake. (Low sodium V-8 juice was very helpful.) However, after a while that wasn’t quite good enough. [Then] Sotalol worked pretty well, but I knew I had to do something. I did not want these a-fibs to control my life any longer. “[My EP] explained that my first procedure was a success. However, during the healing process a tiny spot did not scar and this allowed the A-Fib to trip again. Your Atrial Fibrillation is unique to you. Along with various treatments, you may need to address concurrent medical conditions (i.e, hypertension, diabetes, obesity, sleep apnea). Likewise, you may need to make lifestyle changes (e.g., diet, exercise, caffeine, alcohol, smoking). Need More Than One Treatment? A Heart in Normal Sinus Rhythm is Worth it! ‘From The Top 10 List of A-Fib Patients’ Best Advice’ , consensus of valuable advice from fellow Atrial Fibrillation patients; Chapter 12, Beat Your A-Fib: The Essential Guide to Finding Your Cure by Steve S. Ryan, PhD. “I began reading everything I could about the condition but mainly how to make it stop. Along the way I can’t recall how many times I was told to take the medicine and stop looking for trouble. “I would urge any A-Fib sufferers not to make the same mistakes I did by not researching their treatment options. …I experienced several years of unnecessary suffering by accepting an opinion of one specialist who said I would have to live in A-Fib. To be cured of your A-Fib, you may need to ‘fire’ your current doctor. Seek a heart rhythm specialist, a cardiac electrophysiologist (EP), who will partner with you to create a treatment plan—a path to finding your cure or best outcome. To make this happen, see my page, Finding the Right Doctor for You and Your A-Fib. The First Doctor You See is Not Necessarily the Right One for You. From Chile and Egypt, to Australia, Canada and the Ireland, patients around the world are reading my July 2018 A-Fib Alerts newsletter. Read it here. Special Bonus: Sign up for our A-Fib Alerts and get special discount codes to save up to 50% off my book, Beat Your A-Fib: The Essential Guide to Finding Your Cure, by Steve S. Ryan, PhD. Get the eBook for just $12 ($24.95 retail). Or get the softcover book for only $24 ($32.95 retail). Sign-up and you’ll get your special discount codes by return email. Join Today! To be cured of your A-Fib, seek a heart rhythm specialist, an cardiac electrophysiologist (EP), who will partner with you to create a treatment plan—a path to finding your cure or best outcome. To make this happen, see my article, Finding the Right Doctor for You and Your A-Fib. you can find in your area. “I would urge any A-Fib sufferers not to make the same mistakes I did by not researching their treatment options. …I experienced several years of unnecessary suffering by accepting an opinion of one specialist who said I would have to live in A-Fib. In a short video, Steve S. Ryan, PhD, warns to beware of misleading and incorrect A-Fib information published by reputable sources on the internet and in print media. Talking with host Skip E. Lowe, Steve gives three specific examples of why you need to be on the lookout for inaccurate statements about Atrial Fibrillation. 3:59 min. Watch video now. From Chile and Brazil, to Australia, Canada and the UK, patients around the world are reading my March 2018 A-Fib Alerts newsletter. Read it here. Get the eBook for just $12 ($24.95 retail). Or get the softcover book for only $24 ($32.95 retail). Sign-up and you’ll get your special discount codes by return email. Sign-up Today! Have you wanted to buy my book, ‘Beat Your A-Fib: The Essential Guide to Finding Your Cure’, but you’re not serviced by any of the Amazon.com websites? Don’t fret—you can order our softcover book from The Book Depository who ships worldwide and offers free delivery. The Book Depository is one of the world’s leading specialist online bookstore (and is owned by Amazon.com). It offers ‘Beat Your A-Fib‘ at a price similar to the Amazon.com sites. For a list of countries they ship to, go to Common Questions on their Help page: “Which countries do you deliver to?“. You’ll also find a list of the various currencies available when making your purchase at “How we price our books“. Please note: While The Book Depository shipping is free, you are responsible for any local sales tax, VAT, etc. which apply to your delivery location (you’ll find them displayed during the checkout process). 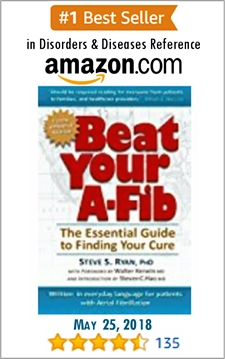 ‘Beat Your A‑Fib: The Essential Guide to Finding Your Cure‘ by Steve S. Ryan, PhD, is written for the newly diagnosed A-Fib patient and any A-Fib patient who wants to understand their illness but doesn’t want to wade through medical books and research journals. Read more about My Book or go to our book site, BeatYourA-Fib.com. 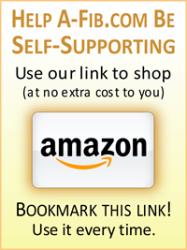 You’ll find over 150 customer reviews at Amazon.com. Patti and I wish to thank all of you who have ordered our book, ‘Beat Your A-Fib’ (ebook or softcover) through our BeatYourA-Fib.com book site or Amazon.com sites. P.S. We have just joined The Book Depository affiliate program. So we earn a small commission when you use our link to order from them. Earnings are applied to the publishing cost of A-Fib.com. 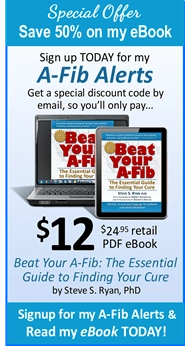 Please use this A-Fib.com link any time you order through The Book Depository. 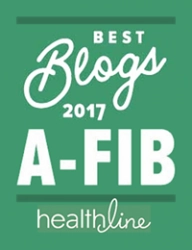 Over the past few months we have written posts about each item on the ‘A-Fib Patients’ Best Advice Top Ten List’. This list is reprinted from Chapter 12 of Steve’s book, Beat Your A-Fib: The Essential Guide to Finding Your Cure. The ‘Top 10 List’ is a consensus of valuable advice from fellow patients who are now free from the burden of Atrial Fibrillation. #2: Should you Dump Your Doctor? #4: Don’t Just Manage Your A-Fib with Drugs. Seek your Cure. From Chapter 12 of Beat Your A-Fib: The Essential Guide to Finding Your Cure, by Steve S. Ryan, PhD. John Thorton from Sioux Falls, SD, about ignoring the bad advice: “The local MDs, cardiologists, EPs, and other local specialists, all told me stuff like: “It is just anxiety,” and “You just need to learn to live with it”. Which was completely WRONG. Joan Schneider, Ann Arbor, MI: “I was so desperate for answers I started searching on-line. My jaw hit the table. [I said to myelf…] ‘How could my physicians not explain these things to me?’ Once I was able to really comprehend my future, I was able to make things happen. Seek Support—Our A-Fib Support Volunteers: To become your own best patient advocate, it helps to have someone you can turn to for advice, emotional support, and a sense of hope that you can be cured. Our volunteers are just an email away, see our article, Our A-Fib Support Volunteers. Make Things Happen: Become Your Own Best Patient Advocate! 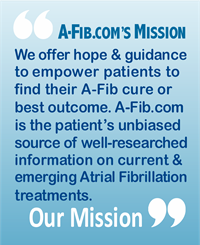 A-Fib.com, your unbiased source on treatments for Atrial Fibrillation: Check our Treatments section covering diagnostic tests, common mineral deficiencies, drug therapies, cardioversion, catheter ablations and surgery and more. Kelly Teresi, wife of Jay Teresi: “This disease is so far beyond what a non-A-Fib person can comprehend—many times I found myself frustrated, not understanding what was going on with Jay’s thoughts and heart. A-Fib Wreaks Havoc with Your Head as Well as Your Heart: Your psyche is just as important as your physical heart. For a step-by-step guide, see our article: Seven Ways to Cope with Your A-Fib Fear and Anxiety. Recognize the Stress and Anxiety. Seek Emotional Support. A-Fib is Not a One-size-fits-all Disease: You may need to address concurrent medical conditions (e.g. hypertension, diabetes, obesity, sleep apnea). Likewise, you may need to make lifestyle changes (e.g. diet, exercise, caffeine, alcohol, smoking). Be tenacious: Your heart is a resilient muscle that tends to heal itself. You may need multiple treatments (drugs, cardioversion, etc.) and repeated procedures (cardioversion, ablation). Try More Than One Treatment if Necessary. Read A-Fib Patient Stories of Hope and Courage: Other A-Fib patients have been where you are right now.Each author tells their story to offer you hope, to encourage you, and to bolster your determination to seek a life free of A-Fib. Go to: Personal A-Fib Stories of Hope and Encouragement. 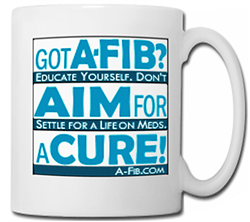 Read how others found the courage to seek their A-Fib cure. Don’t wait. Don’t delay. Get Treatment as soon as practical. Daniel Doane, Sonora, California, USA: “I didn’t realize how continued A-Fib so drastically remodels your heart. Get your A-Fib taken care of. It won’t go away. It may seem to get better, but it will return. Don’t Delay—Seek Your A-Fib Cure. All Atrial Fibrillation patients! We need your input! Share with us! Help us write a new chapter for our book! We are planning the 2nd edition of our book, Beat Your A-Fib: The Essential Guide to Finding Your Cure. New chapter: Non-Surgical/Non-Drug Treatments: We need five or six anecdotes or stories for a new chapter to focus on non-drug and non-surgical treatment options. Have lifestyle changes or alternative methods reduced or eliminated your symptoms? Email us! Is exercising or stress-reduction techniques working? Weight-loss or dietary changes? Use of minerals or supplements? Chiropractic treatment or Yoga? Other means of improvement? We’re interested in anything that’s helping you. You don’t have to be ‘cured’ to share your story. Just actively pursuing your best outcome. Email us. If something is working for you, we’d love to hear from you! Just email us with your contribution: pattijryan@a-fib.com or ssryan@a-fib.com. A-Fib Patients’ Best Advice #4: Don’t Just Manage Your A-Fib with Drugs. Seek your Cure. Drugs have a role, but other treatment options target a cure. Don’t Just Manage Your A-Fib with Meds. Seek your Cure.